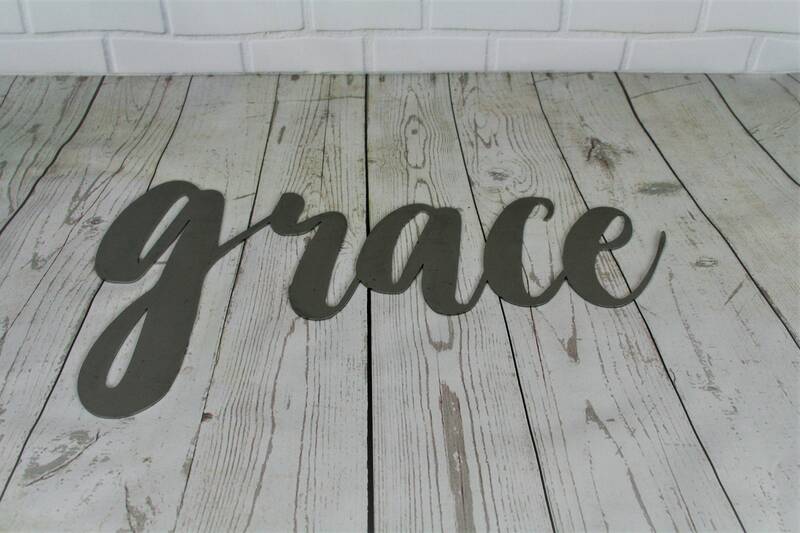 grace raw steel script sign. 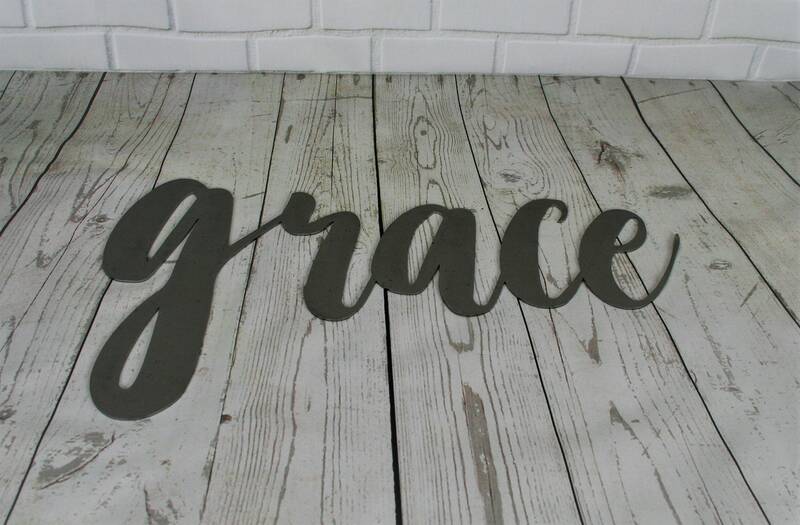 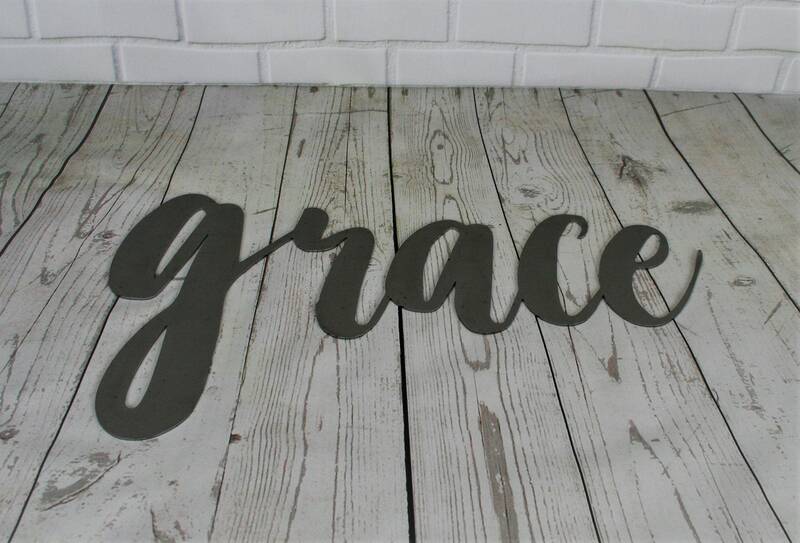 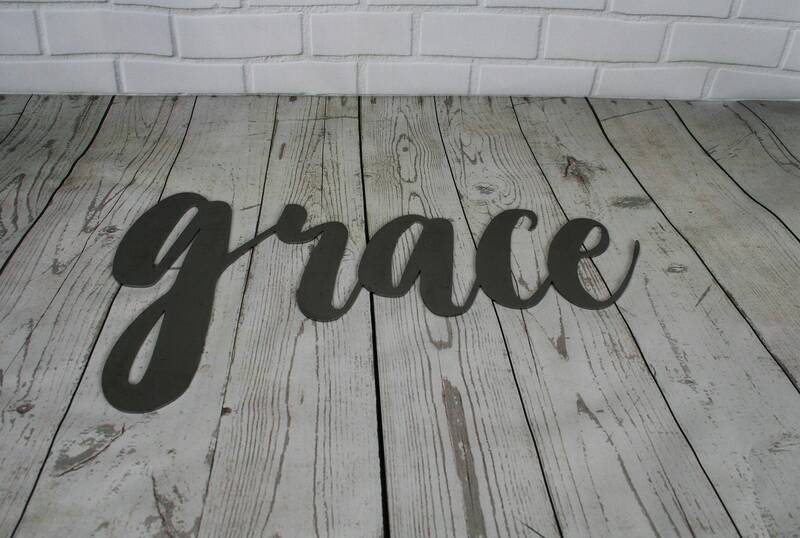 Script grace raw steel sign is is ready to paint. 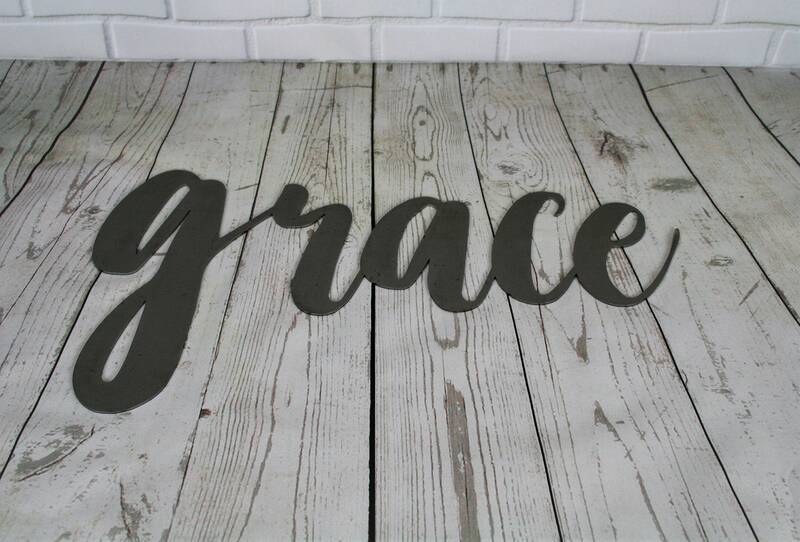 Makes a great gift for Baptism, Confirmation, Easter, Christmas or wedding and anniversary!